E ho‘oulu ka ‘imi ‘ike, me ka na‘auao i ke ea o nā Kūpuna. Kū i ka moku! The Center for Hawaiian Studies inspires academic excellence, cultural integrity and political strength rooted in the Ea of our ancestors. 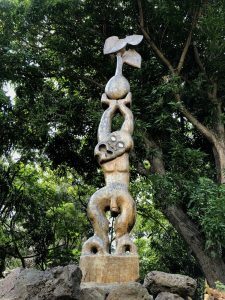 Kamakakūokalani, meaning upright eye of heaven, serves as a metaphor for the Hawaiian Studies program’s higher mission of seeking truth and knowledge. The Kamakakūokalani Center for Hawaiian Studies (KCHS) was named for Gladys Kamakakūokalani ‘Ainoa Brandt in 1997, a prominent Native Hawaiian educator who believed it was through education that the Hawaiian people will become more effective agents in carrying out traditional ancestral practices, customs and in transforming, shaping, and contributing to the world. Her work, integrity, and passionate devotion to education continue to inspire and guide Kamakakūokalani today. Kamakakūokalani, its faculty, classes, and program, represents Hawaiian perspectives and knowledge within the larger academy. Thus, most courses are distinctive and taught nowhere else in the world as originality is a hallmark of the curriculum. Kamakakūokalani offers bachelors and masters of art degrees in five areas of concentration. The M.A. and B.A. programs have the same 5 areas of concentration so students can seamlessly move from one program to the other. 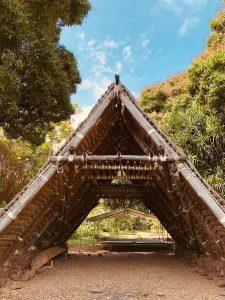 Kumu Kahiki: Comparative Hawai‘inuiākea and Indigenous Studies.